Girl Kuripot Girl Kuripot: Confessions of a Paranoid Virgin Manila Commuter - Saving Tip # 5 - Protect Your Money Before Someone Takes It Away! Confessions of a Paranoid Virgin Manila Commuter - Saving Tip # 5 - Protect Your Money Before Someone Takes It Away! I am a new Manila commuter - fearful of crimes I hear on the news (or from my own friends) and a self-made paranoid when it comes to traveling in my own country. You may probably laugh if I tell you a contradiction - I choose to be a travel blogger. In my blog Guiltless Getaways, I choose to show the beauty of people and their cultures over the threats that people around me encounter every day. I want to be able to enjoy Manila and this entails immersing myself in everything, even commuting if I want to discover and feature the beautiful places in Manila that I find. At the back of my mind, I know that all I can do is hope that nothing bad happens to me and to take extra precautions to ensure it. I've had my share of scouting for the "Manila culture" when it comes to commuting with whatever I could find online. Some say that we have to blend in and not stick out in the crowd. Commuting in Manila requires understanding what people wear or bring when they commute. Information comes from the every day experts, from those who commute every day, those who know the most commuting routes, those who ride different modes of transportation and ultimately, those who have experienced being mugged or being a victim of a crime while commuting. Arrange the items inside your bag, put the more important ones in the middle and away from the sides (or bottom if possible). Slashers usually go for the side, right? If your bag is full, put hard or unimportant materials in the side such as notebooks, eyeglass boxes, clothes, towel, umbrella, tissue or comb. If possible, box out all sides so that when they slash, they won't pull out anything important easily. When traveling by yourself, walk or stay with people close to your height or size. If you plan to defend yourself, at least you'll have an almost equal advantage. Stay in a corner and hug your bag. In a corner, you'll have to be wary of the open sides only instead of all around you. This is good practice to be an observer of what is in front of you because you'll have less distractions. When commuting, place enough money deep in 2 of your pockets so that you can still go home when something happens. This will also split your money at hand so you won't lose as much when you get mugged. List all of your cards at home and leave them if you don't need them. It's bad enough if you lose it but the threat doesn't end there. Having someone else use your cards and hard-earned money is worse. This way, you can call the card company or the bank to cut it immediately. When commuting in the same route every day on jeepneys, befriend the manong driver and stay at his sight just in case. Bring an umbrella and keep it long and open in front of your bag while walking or waiting. You can use it rain or shine plus you can also use it to defend yourself and cover your bag. This is called double protection. Face the zippers in front nearest you. Don't leave zippers at the back where it is easy to open. Hide your bag tags/labels too if you know that people know your bag brand is expensive. Is carpool considered commuting? It's a fun way to get to know people and save money. If you can go with a friend then choose that option. Bring a whistle to attract attention if something goes wrong. Bring loose change, even in 1s, 5s and 10s. Manila taxi drivers don't give you back exact change. It's called a forced tip. Bring a bodyguard. Your boyfriend or brothers will do. A strong-looking male present with you can cause others to retreat already. 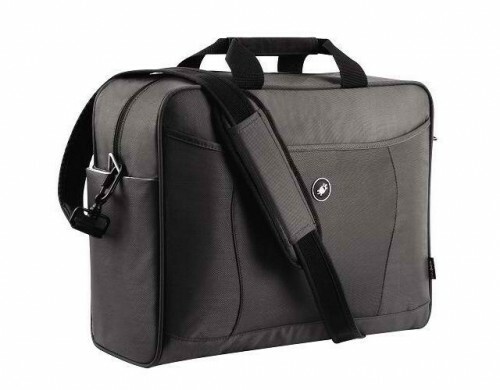 If you must bring a laptop, just invest in a PacSafe Commutasafe Laptop Bag and don't add another bag so it looks like your normal-everyday-stuff bag. Would you believe it's slashproof, tamperproof and snatchproof?! It looks waterproof too. It can also hold water bottles, umbrellas, your pens and accessories in tamper-free pockets! This was the prize for Out Of Town Blog's blogging contest last year. It ran until November 17, 2010! I want a backpack to take with me to my getaways here and abroad so I chose the Pacsafe Metrosafe 350. It's simple, lightweight and has a classic design. I need a daypack so that I can leave everything in the hotel or house while I make the most of the day. It has a padded back support and enough space for water bottles, umbrellas and other small gadgets like my future IPad. It also fits my small frame!